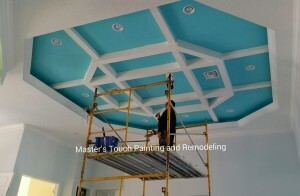 Masters Touch Painting Orlando FL is the premier painting contractor of Central Florida with unmatched skills in the trade of residential painting and commercial painting. do you need a painter ? | what city or town? and get 10% off the final price. Many Reasons why you should choose us to paint your home ! #2 We Provide Quality Painting at an affordable price. and that’s a few reasons why we are Greater Orlando’s first choice for Residential Painting. We have the experience to take on any size Painting project, we have painted houses that range from 900 square feet to 18,000 square feet mega mansions. We have work on all size commercial Painting projects from small restaurants, offices, clinics to Rehab centers ranging 120,000 square ft. of Painting. located in the state of Florida and stationed in the city of Orlando serving Central Florida, Orange County FL. I serve the Orlando area with interior Painting and exterior painting services. We paint commercial and residential properties, we provide our service to home owners, business owners, realtors and investors. Call us for fast free estimate today, our contact number is 407-502-9030. Please Review our work and check out our Video’s we hope to be at your service. Best Priming for Painting bare wood. We are a full licensed and insured Painting Company located in Orlando, FL with a service area covering Orange County Florida. We are Orlando, FL’s #1 local home paint service providers and we would like to know about your project and how can we help complete it. Professional paint jobs every-time, fast and efficient, clean and reliable, Guaranteed no mess each and every time. Why Choose us for your Painting need ? #2) has provided complete painting service in Orlando, FL and surrounding Cities. 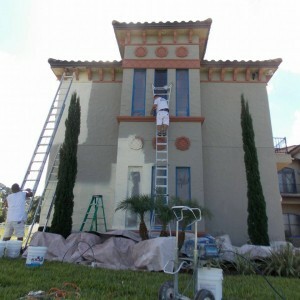 We have grown to be one of the largest painting contractors in Orlando, FL. Timing Our Painting Company is capable to handle any size job and complete it in a timely fashion. Organization With the combination of a quality craftsmanship, staff supported by quality management, our crews will provide you with quality service. 1. How can I be sure I will get a quality job? Javier Santos has been serving our customer’s needs for over 14 years, always maintaining the highest level of satisfaction. We average over 500 projects per year. Our projects range from a few hundred dollars to $1,500,000.00. We can handle the worst of commercial jobs. From retail space construction, to annual building maintenance, Orlando Painting Pros has the correct painting solution for your commercial project. We can help you to fix common issues like Flood Damage, Water Damage. This website provides you with an opportunity to learn more about our Services We welcome you to contact us by telephone or e-mail to Request a FREE ESTIMATE.